It happens again and again, especially in summer, that alcohol paints do not work properly anymore. 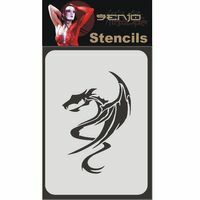 The Senjo tattoo paints also lose their alcohol content quickly at high temperatures and are then difficult to spray. do not use any inferior alcohol! If the paints become too thick due to the high temperatures, they must be diluted with 99% ISOPROPANOL. Sometimes the paint will pull threads. 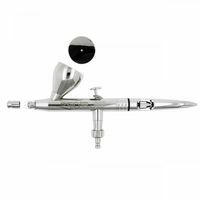 Condensation from the hose can also cause the airbrush to spit. Install additional water filter. This helps against condensation water in the hose. The airbrush stencils are glued? The Airbush stencils and tools get a sticky surface? This is quite normal. stencils simply with powder. Then they no longer stick to the packaging. 1. color as thin as possible and as thick as necessary. black is a realistic mix of black, green, blue and should not be applied so thick that it looks deep black! 2. The color sticks after application. That's perfectly normal. Therefore must they be powdered well. good. Remove excess powder after a few seconds. After showering, sleeping etc. simply powder again. This ensures the longest durability. no edges flutter into the airflow. to glue the plastic and metal stencils. How long do airbrush tattoos last on the skin? From the color point of view we can say: 2-7 days without problems. Then human skin comes into play. And it's different with every person. It doesn't hold well with oily, sweaty skin. With dry, clean skin at the best and longest. Placed on the upper arm it is not as beautiful as it was shortly above the ankle after a sweaty night at 30 degrees. In any case, careful showering and then powdering again will help.